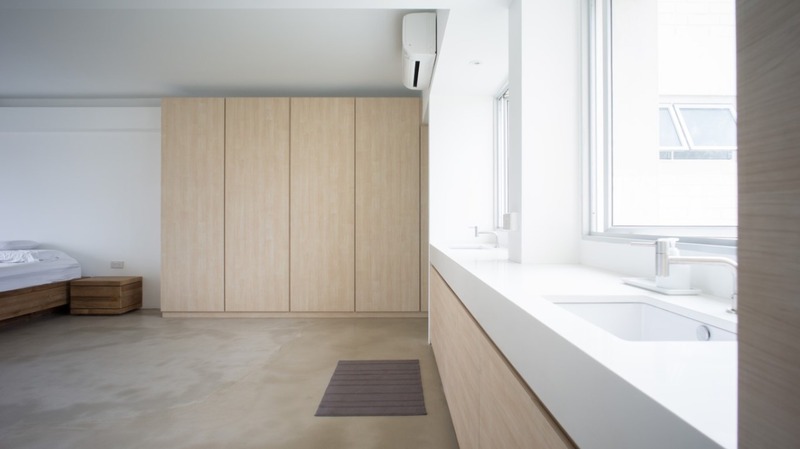 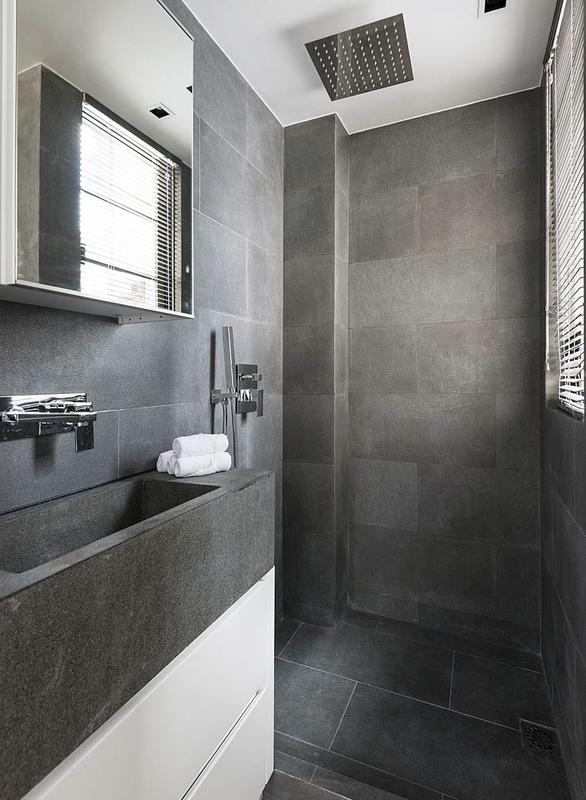 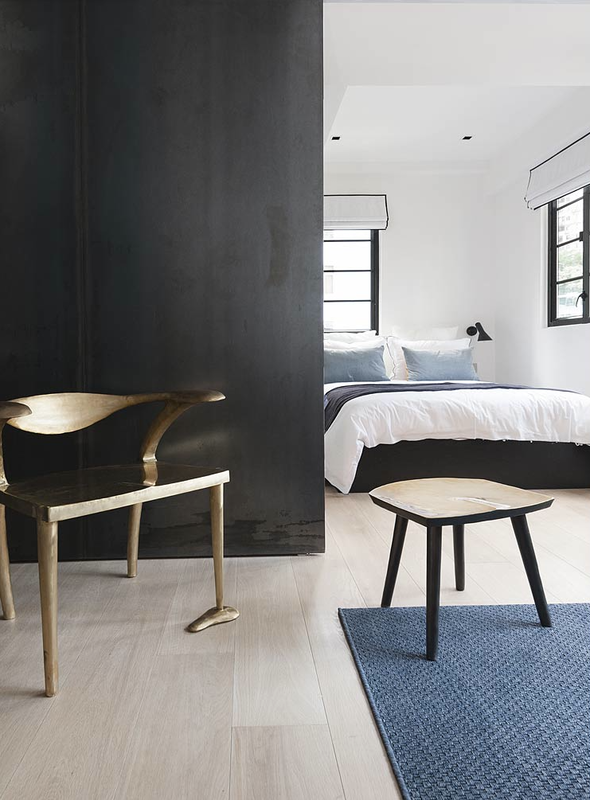 Minimalistic, industrial, bare and beautiful. 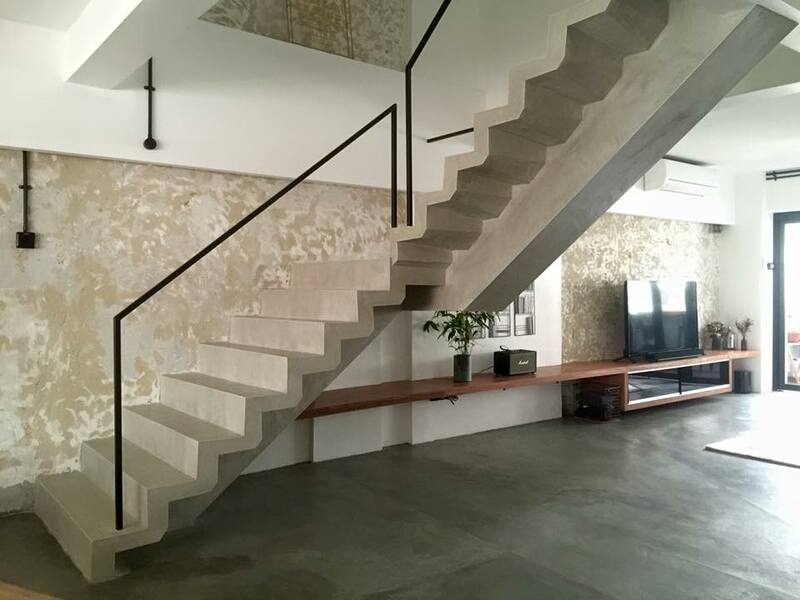 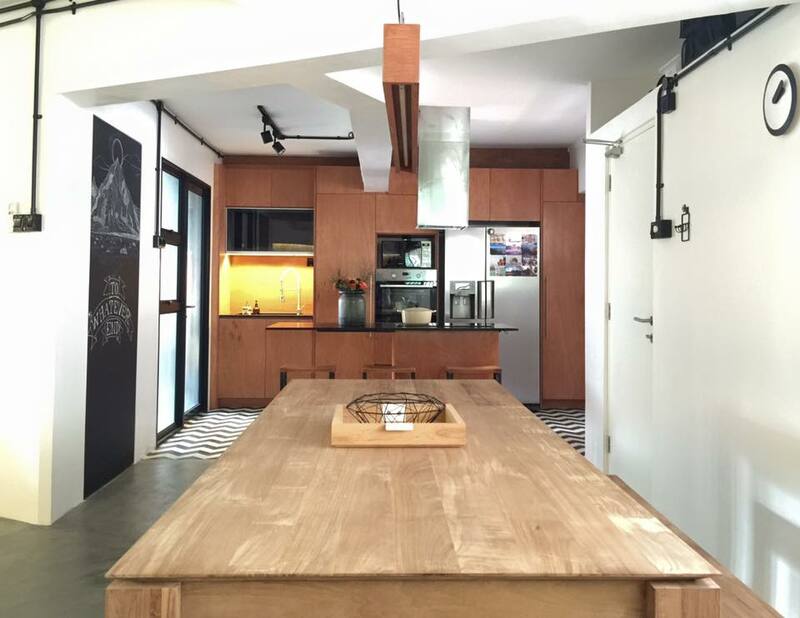 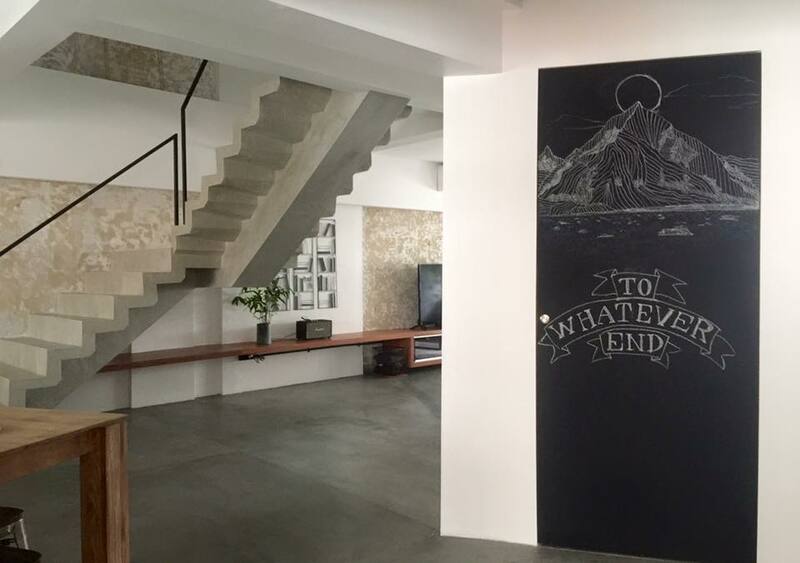 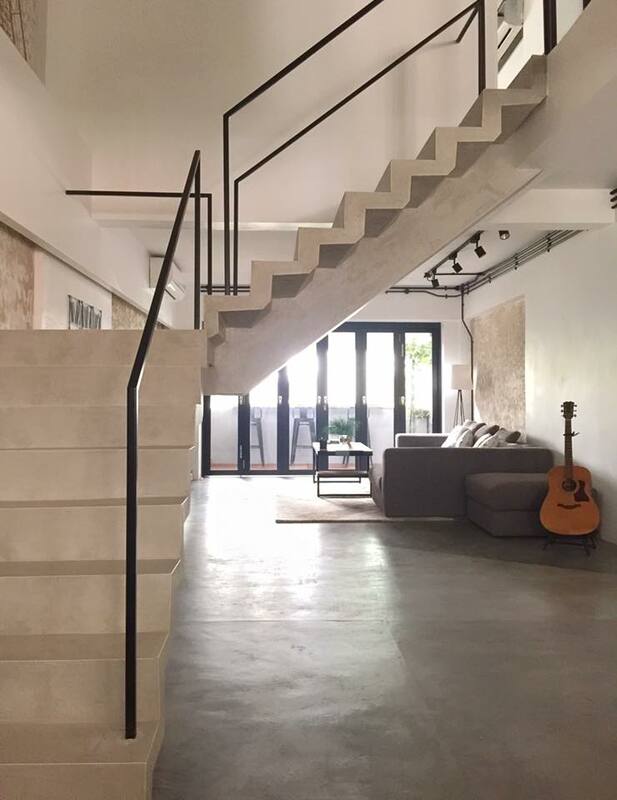 This HDB maisonette designed by JQ Ong says it all. 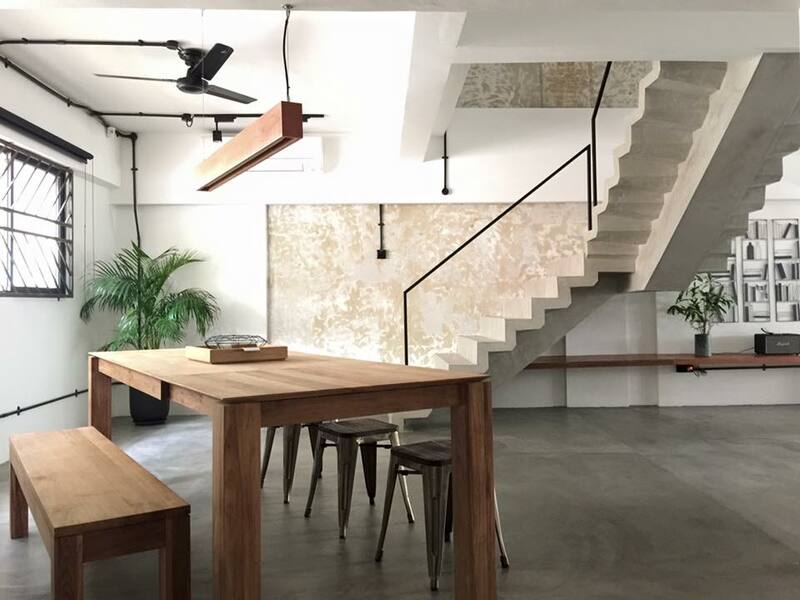 Surprise to find this space a HDB flat in Singapore? 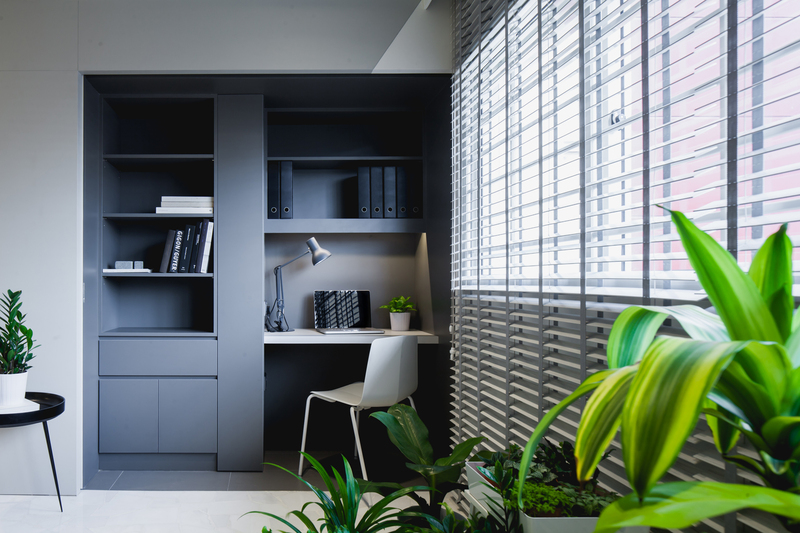 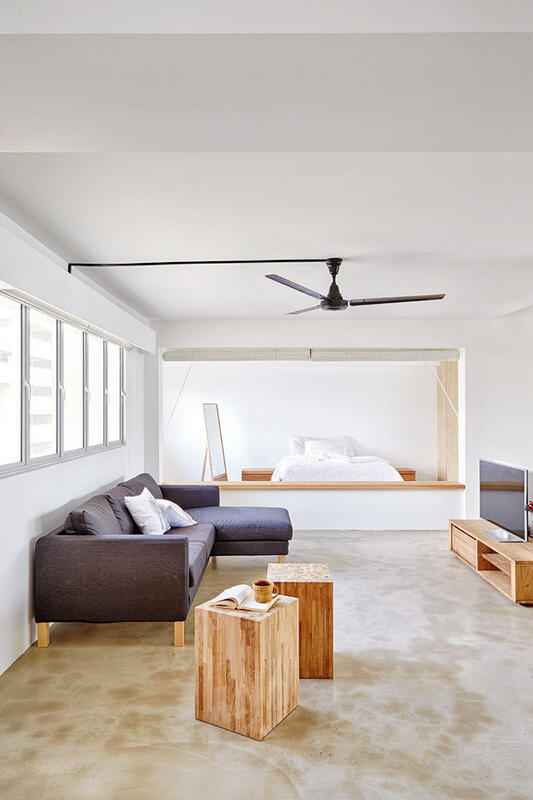 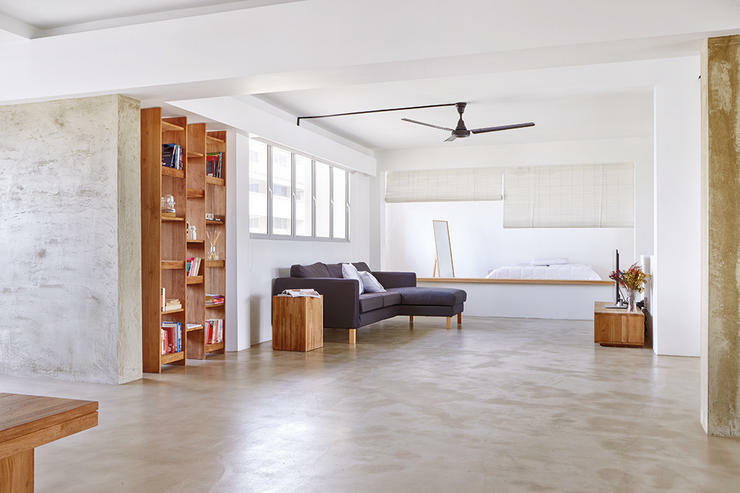 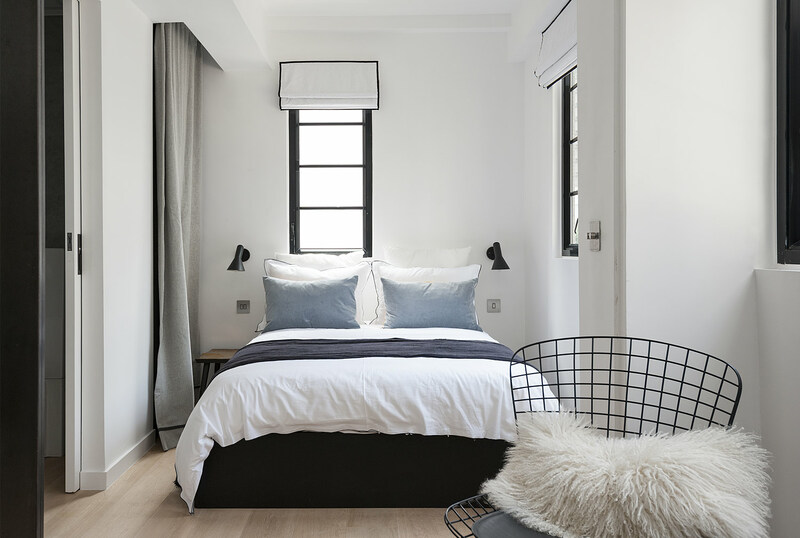 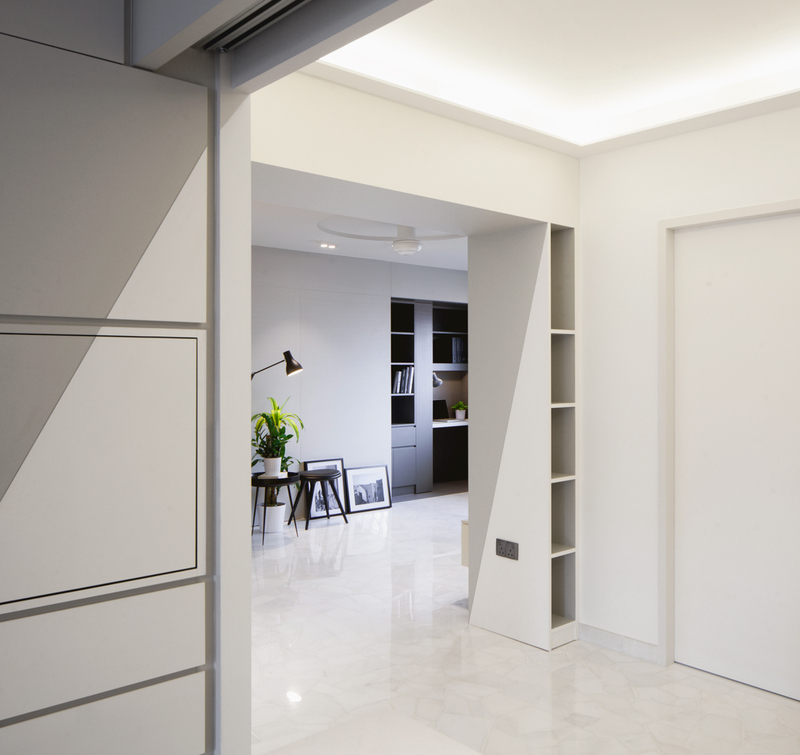 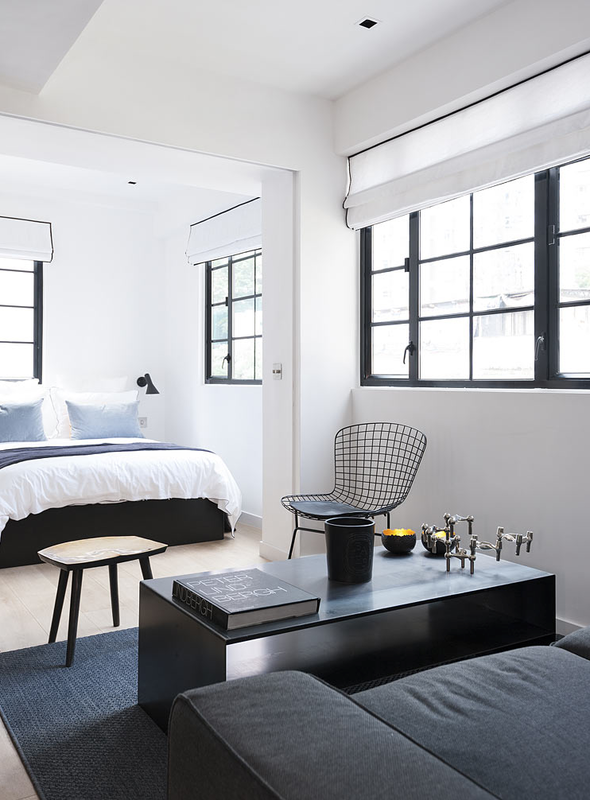 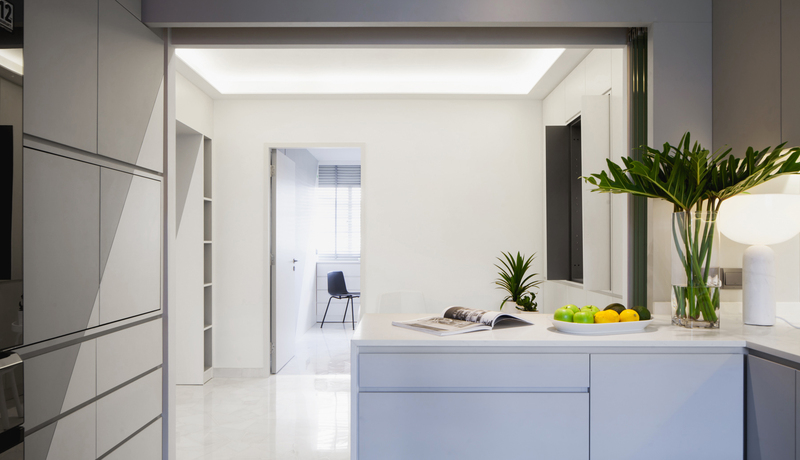 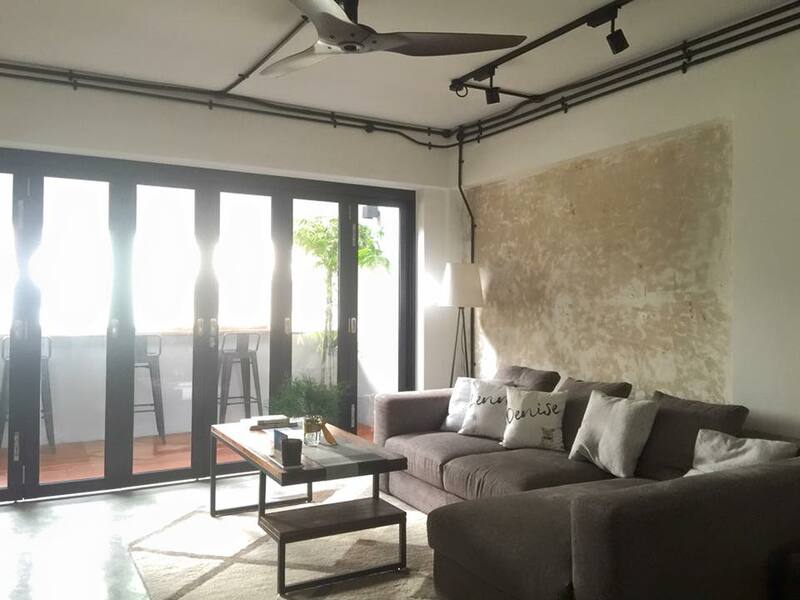 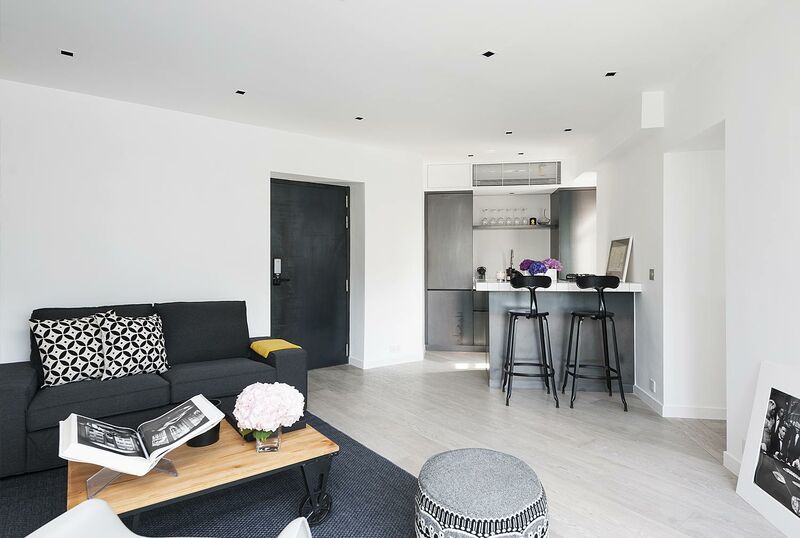 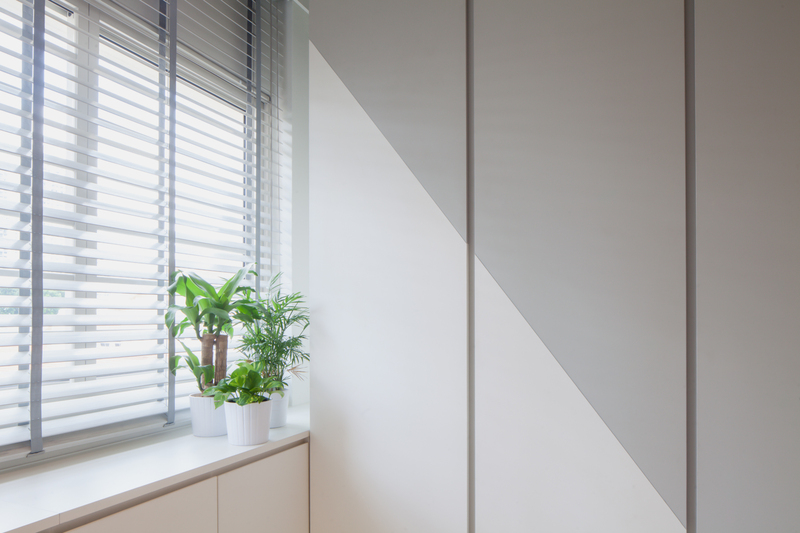 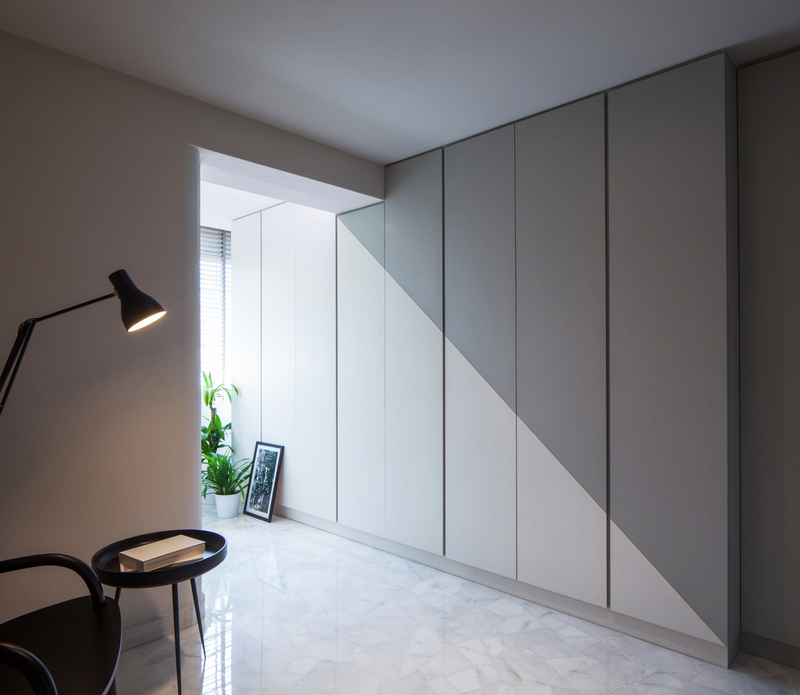 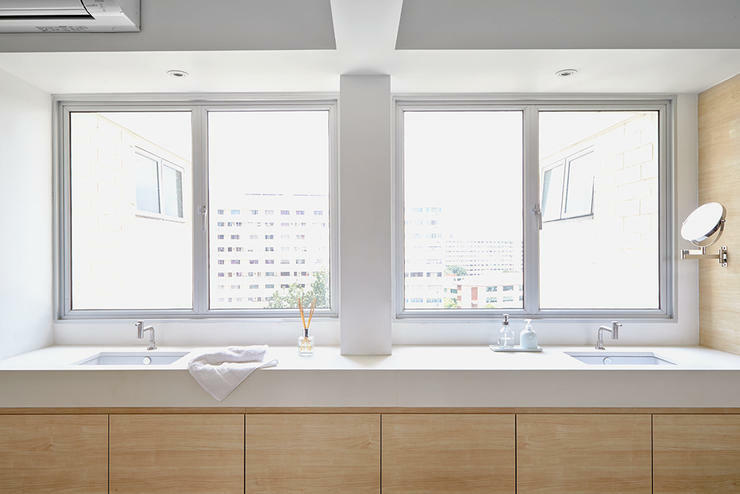 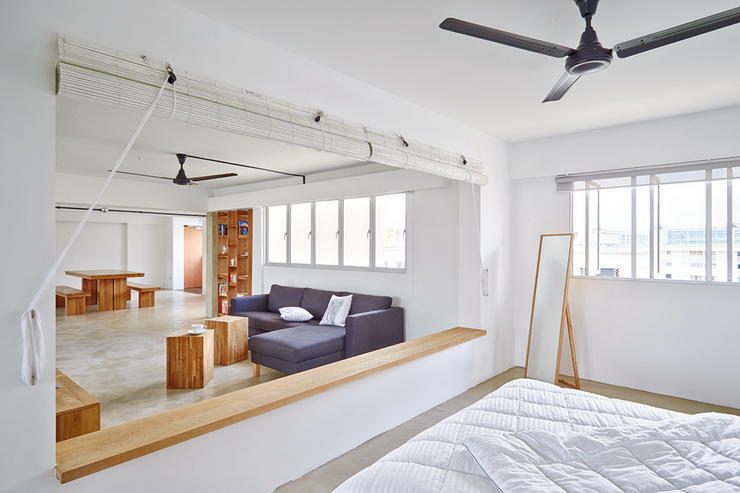 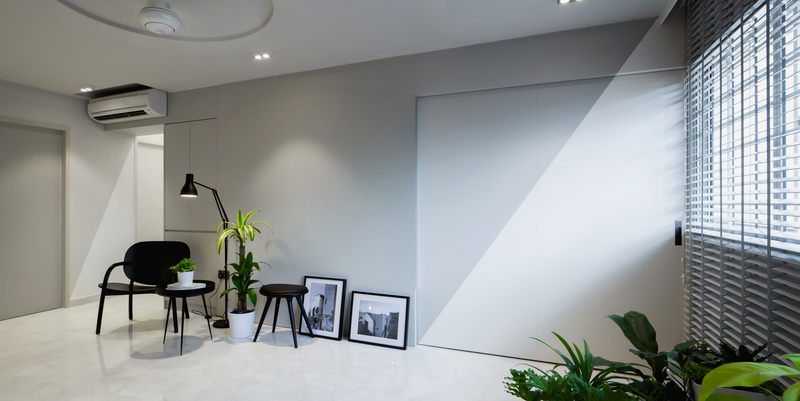 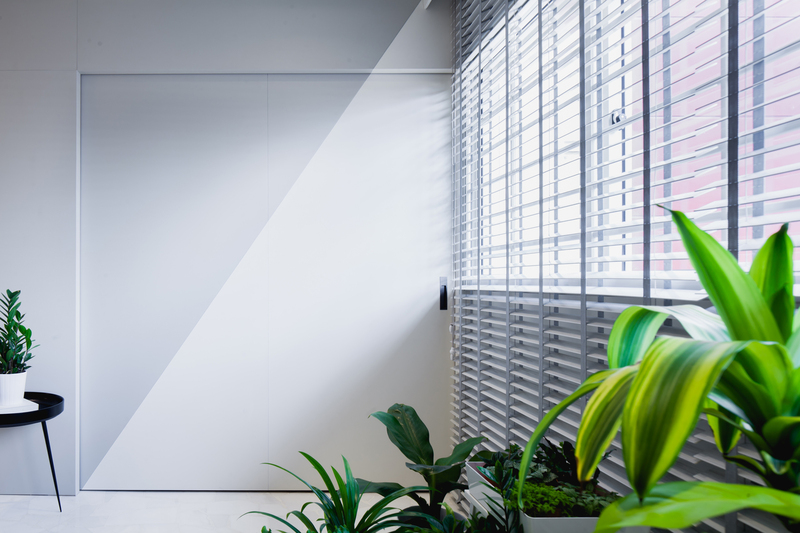 The owners wanted a clearly minimalistic theme for their home and they have worked with designer Desmond Ong to realize their vision. 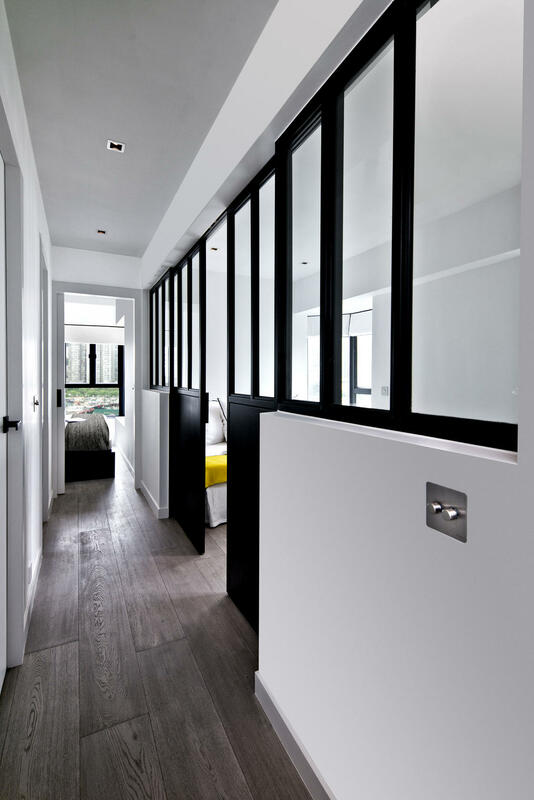 Almost all the internal walls were taken down to create an open layout that feels so light and airy. 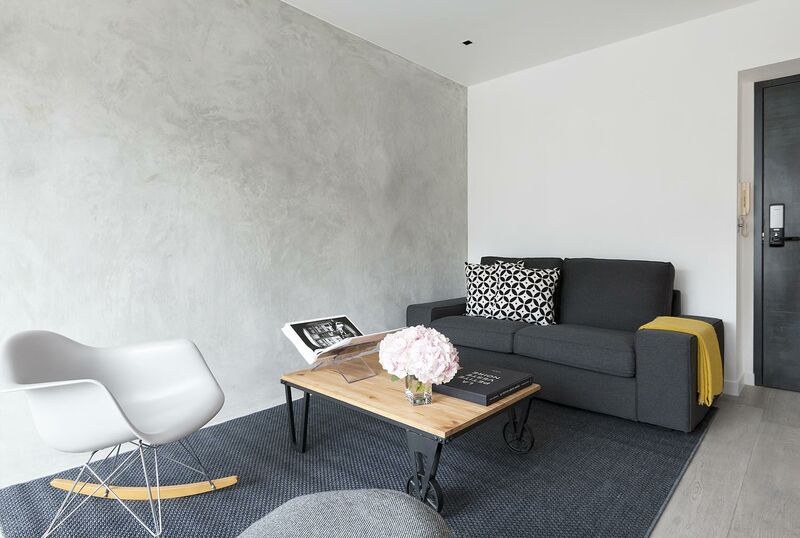 Given the white walls as blank canvas, I would be tempted to add a layer or two of colors and accessories. 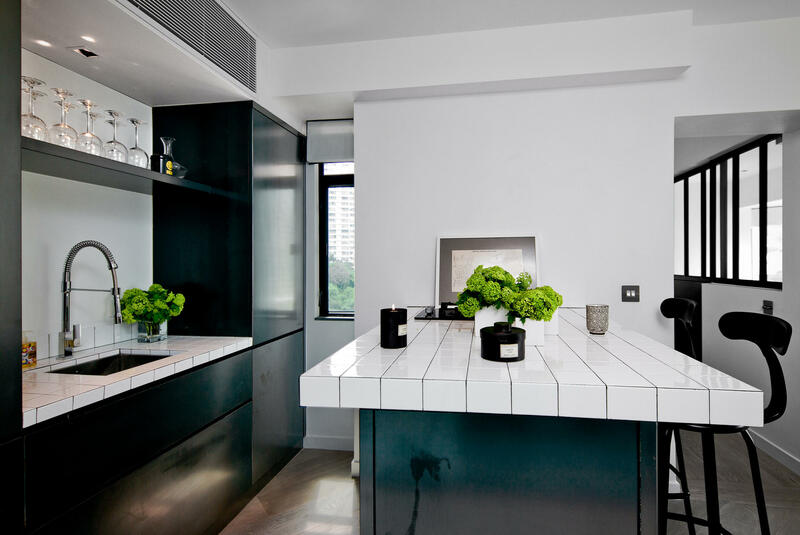 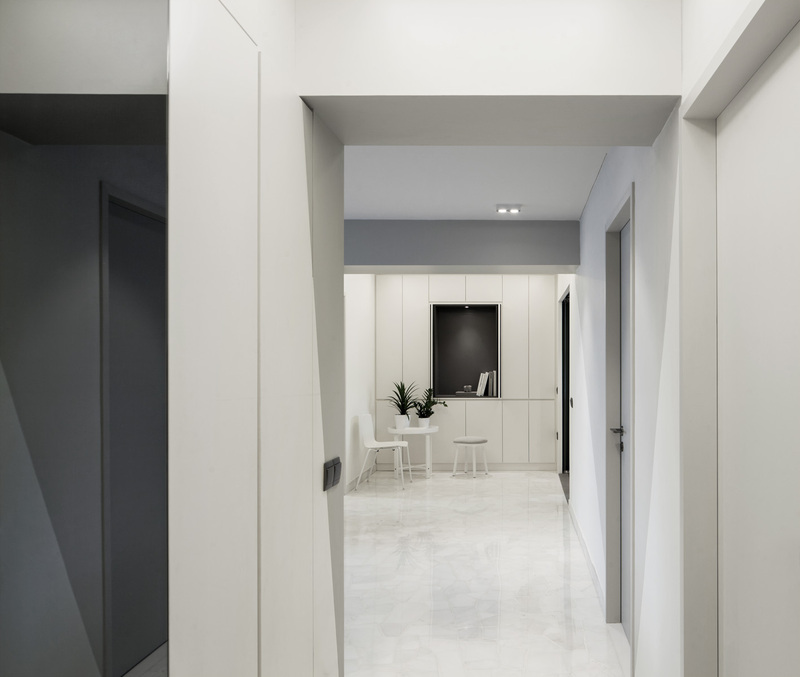 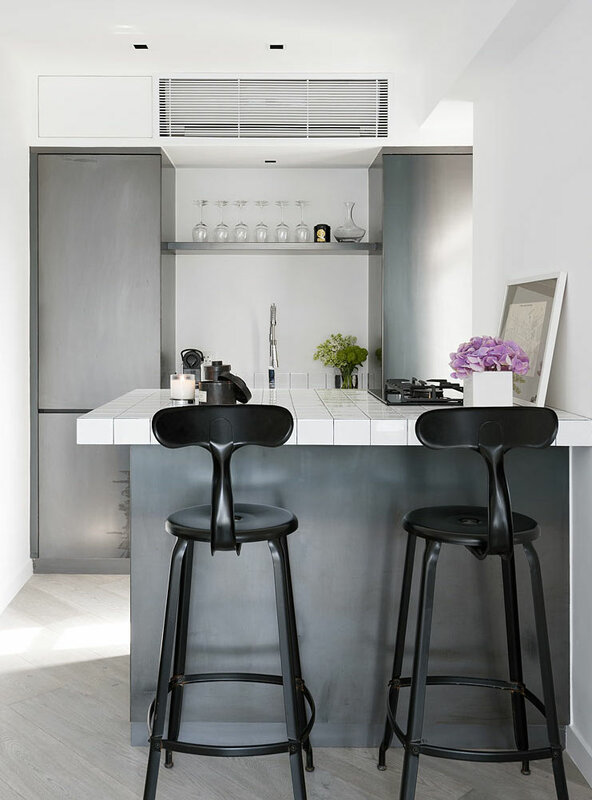 But the home owners and designer have decidedly keeping it sparsely styled in a restrained colour palette of white, grey and wood tone to stay true to the clean, minimalistic theme. 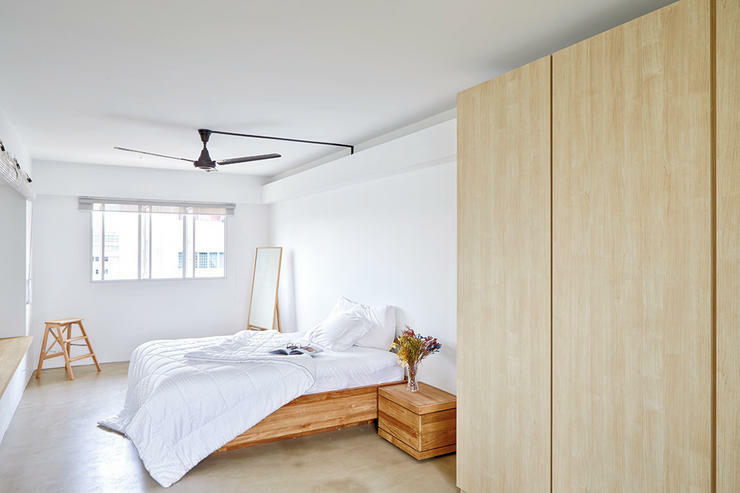 Every piece of furniture here is functional and beautiful. 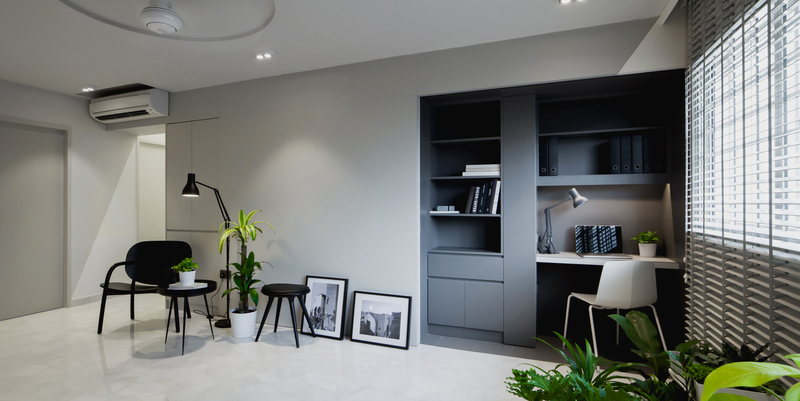 This may not be a home that suits everyone’s liking or life style (there isn’t a lot of hidden storage to stash all those little things you may accumulate, hence discipline is needed in decluttering to maintain the clean minimalistic look :)), but I really like the what the designers and home owners have achieved here! 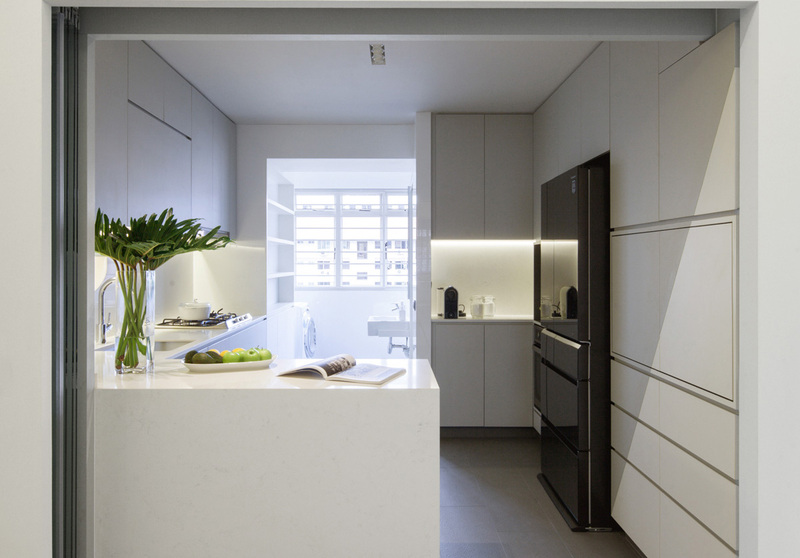 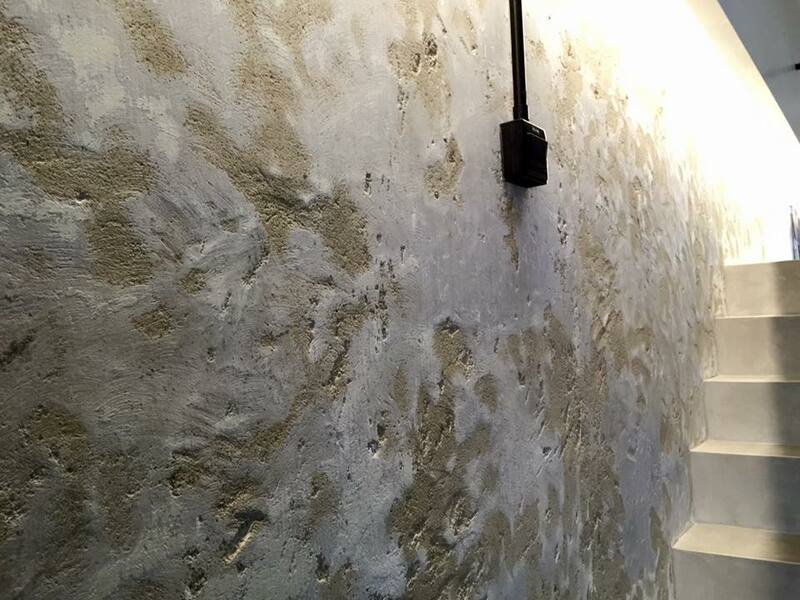 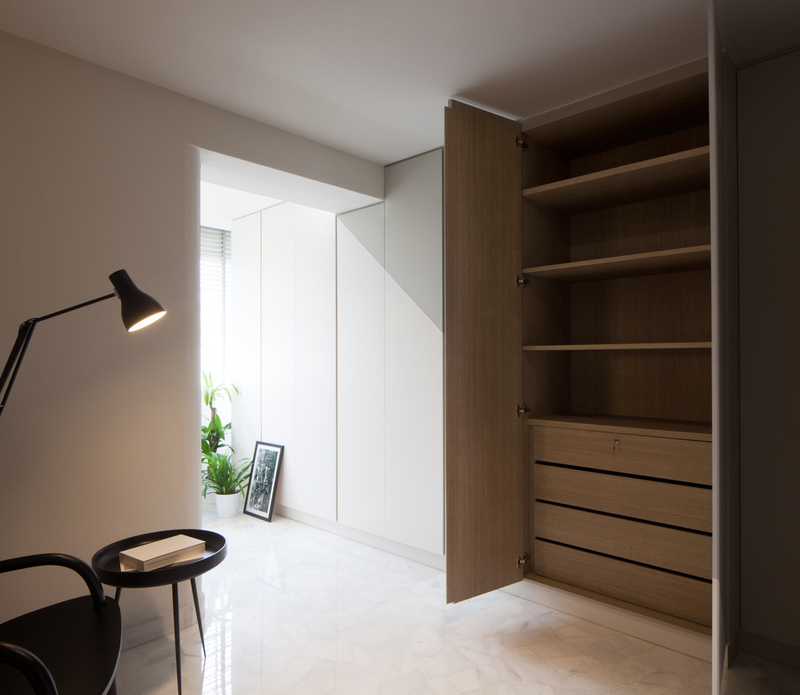 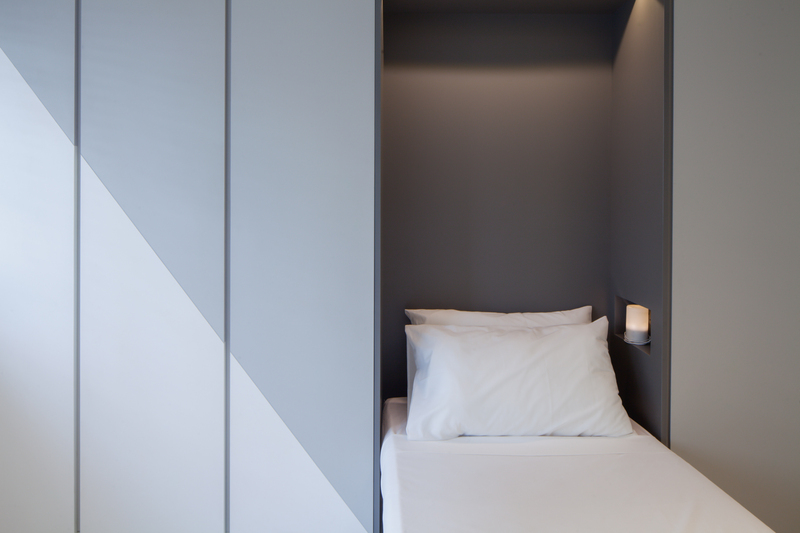 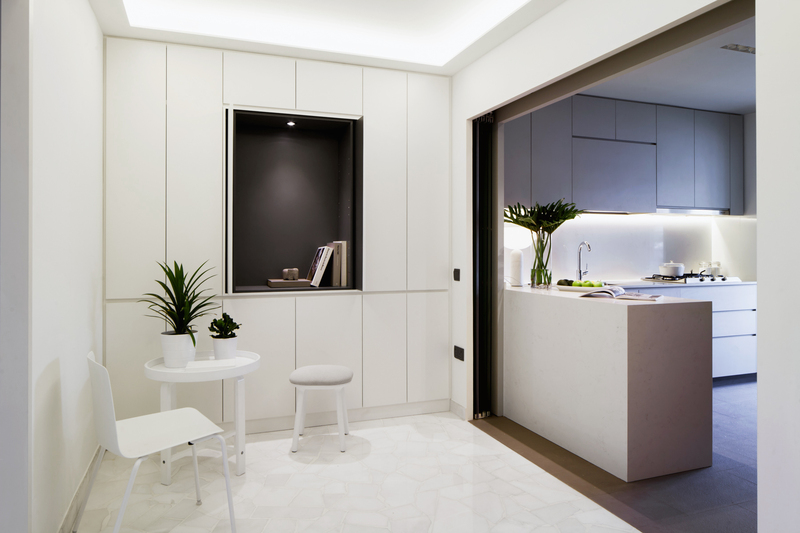 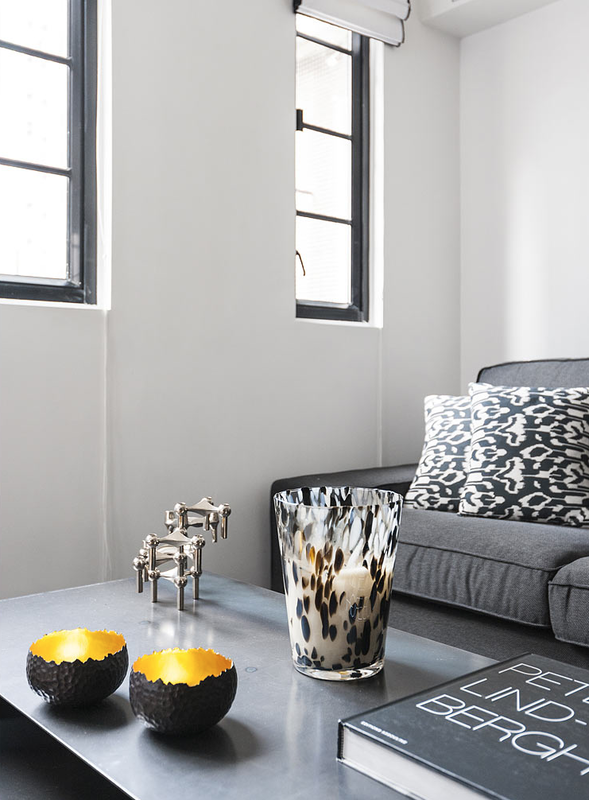 Another Hong Kong apartment done up by French interior designer Peggy Bels. 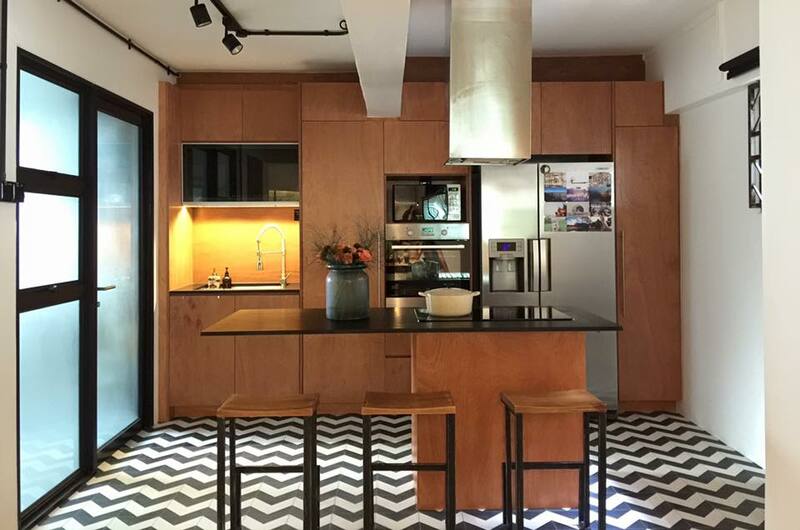 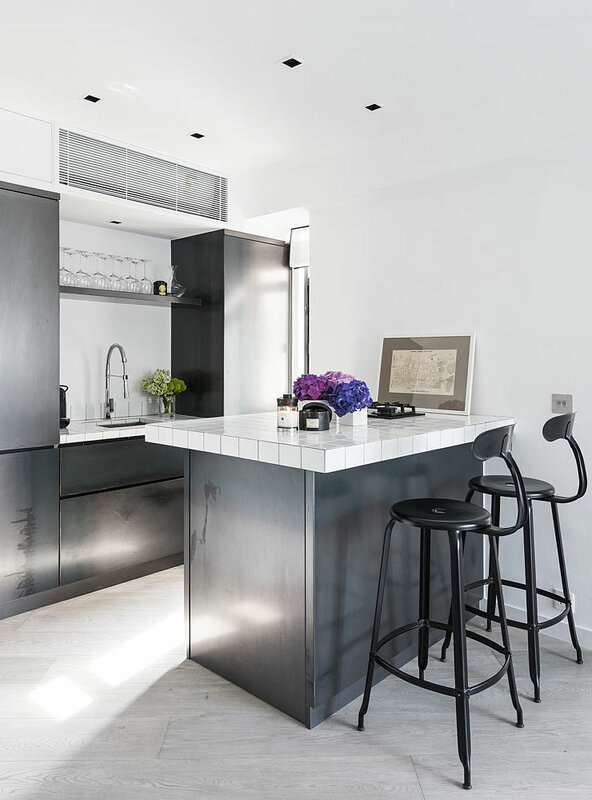 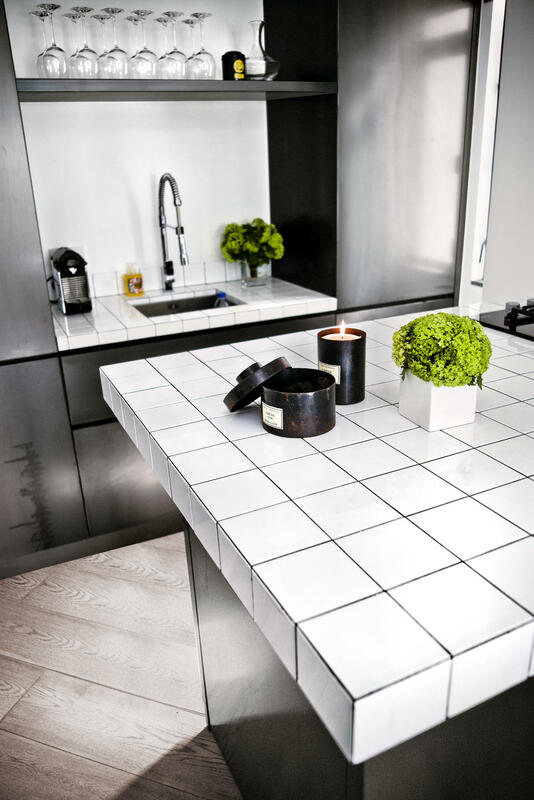 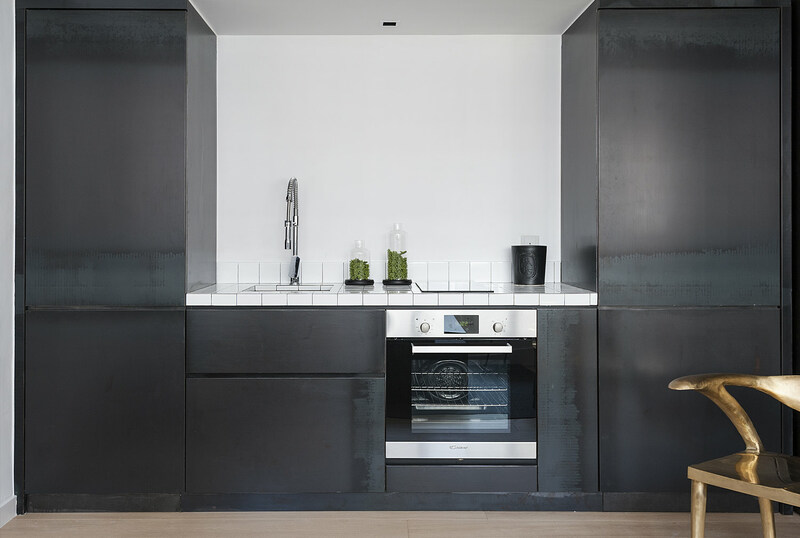 Very stylish, and I’m really liking the shiny black kitchen here. 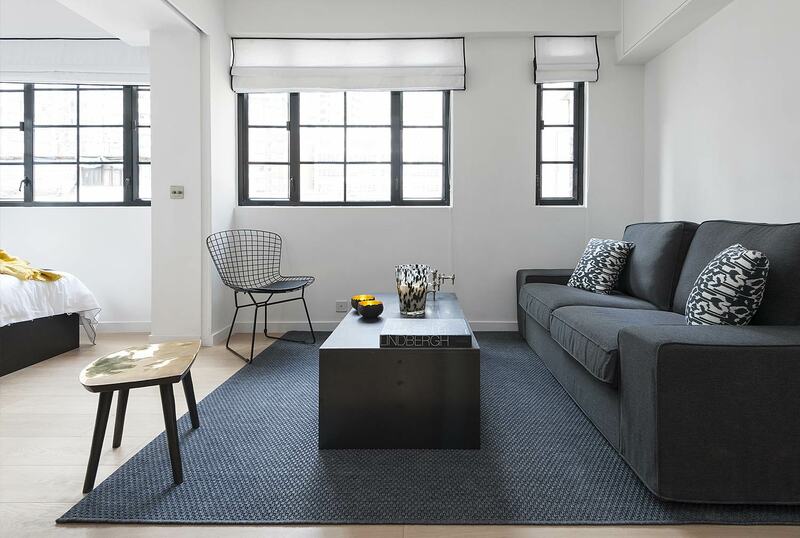 This 605 sqft apartment in Ap Lei Chau was once dark and dingy, but it does come with picture-perfect view of Aberdeen’s busy harbour (make sure you scroll to view the last picture of the post!). 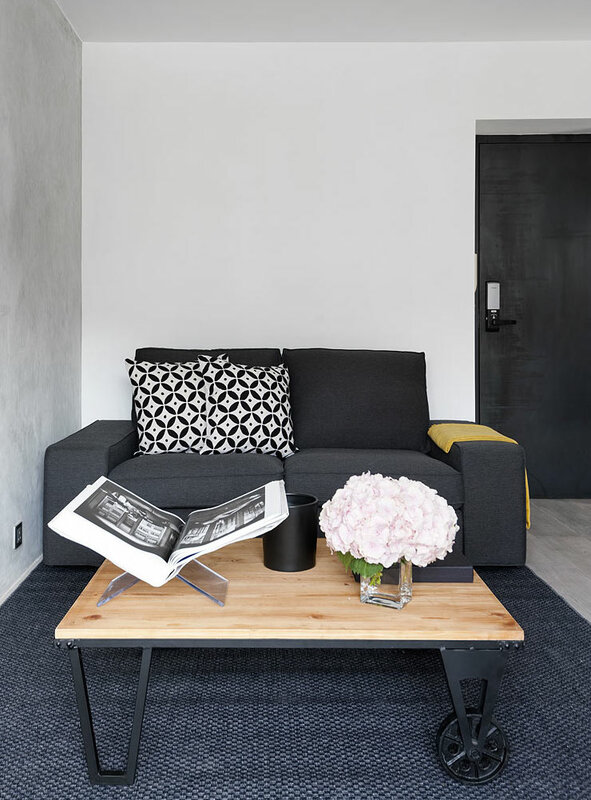 With the help from French interior designer Peggy Bels, the apartment was transformed into a bright and modern adobe that showcases touches of chic Parisian flair.